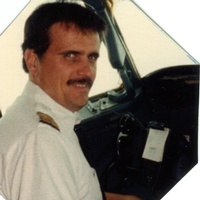 Notification with the passing of retired Delta pilot Captain Harold 'Hal" Turner Carter, age 77. Captain Carter joined Delta Air Lines 01-03-1966 and was based Atlanta. He is survived by his wife Terri, their children and grandchildren, plus many other friends and family members. To view/sign the online guestbook please visit the funeral home website at http://www.colonialfh.net/obits Captain Carter’s obituary indicates that a memorial service will be held at a later date. 1030 Nantahala Road, Madison, NC 27025-8473.